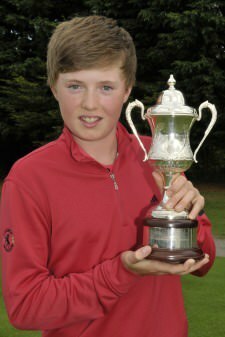 Kilkenny’s Mark Power drives for glory in the final of the Titleist sponsored 2013 Leinster Boys’ Under 13 Series at Lucan. 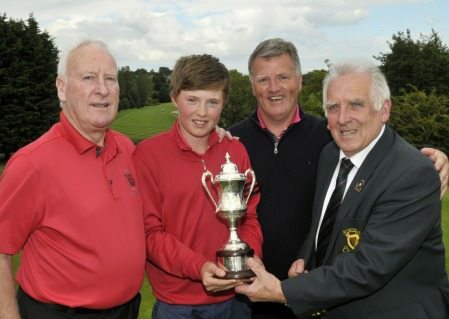 Picture by Pat CashmanKilkenny’s Mark Power proved that good golfing genes run in the family when he captured the Titleist sponsored Under 13 Series Final with a gross score of 33 stableford points at Lucan. Mark Power with the Titleist Under 13 Series Trophy. 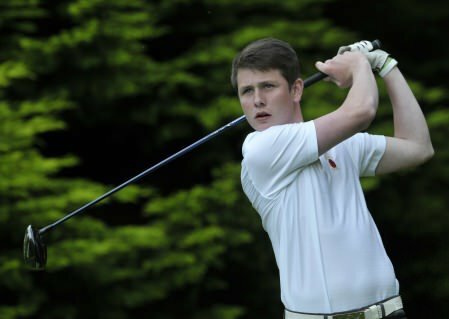 Son of three-time former Irish Close champions Eddie and Eileen Rose Power, Mark edged out Bray’s Luke Merrigan by one point with Beaverstown’s Sean Dowling a further point behind in third place. Forrest Little’s Aaron Donnelly won the nett category with 41 points from Kilkenny’s Sean Manogue (40 pts), who edged out Greenore’s Niall O’Callaghan on countback. Joseph Byrne of Baltinglass won the Under 11 category with 23 points while Elm Park’s Ronan Cowhey won the putting competition on a countback from Glasson’s Conor Glennon. 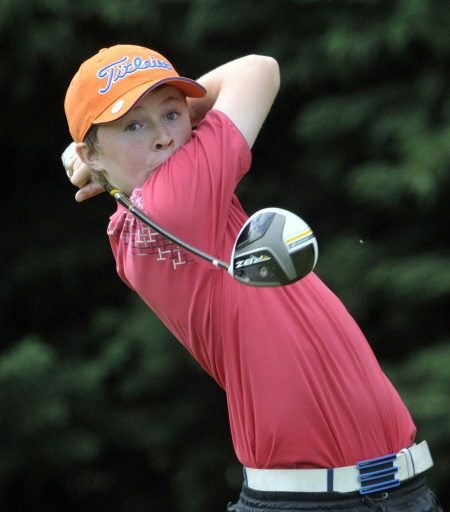 Elm Park's Ronan Cowhey won the Titleist Footjoy Ireland sponsored 2014 Leinster Under 13 Series Final at Carton House.